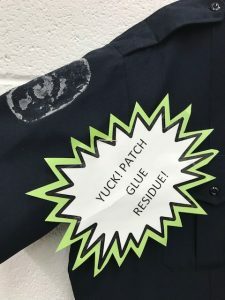 Patch glue is the thin layer of glue that manufactures add to the back of patches to help keep the embroidery thread from becoming loose, caught, or frayed after prolonged use. 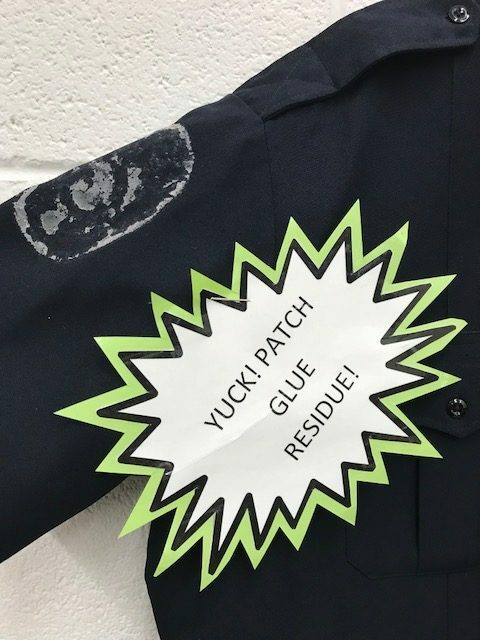 This layer of glue may also be used to permanently attach the patch to a garment, but in the film industry where costumes are interchangeable, and used for many purposes, there are solutions to avoid the damage. 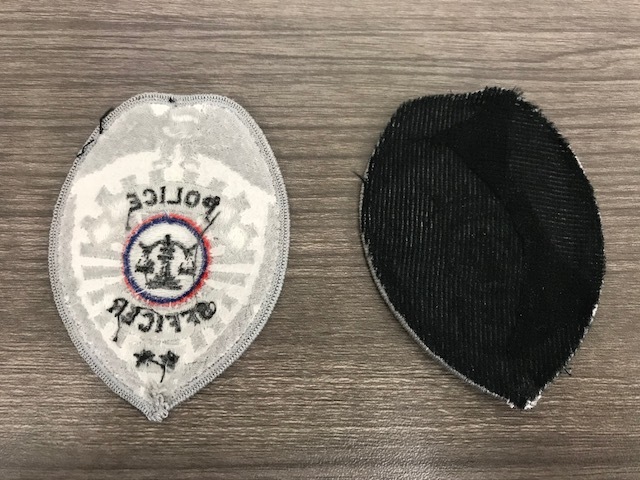 PUT FACING ON THE BACK OF THE PATCH – Adding facing to the back of the patch makes the glue adhere to the facing instead of the garment the patch is being placed on. It requires only one application and the patch is ready to be used over and over again. SEW ON BY HAND – Sewing your patches onto your garments will save you from having to use tapes or adhesives that could damage your costumes. We recommend hand sewing patches to garments. Hand sewing a patch to a costume allows wider stitches which aids in the removal of patches later. Machine sewing can permanently damage a garment if the stitches are to tight and hard to remove. BONUS TIP: Want to avoid additional labor fees? Be sure to remove all your patches from costumes before returning!